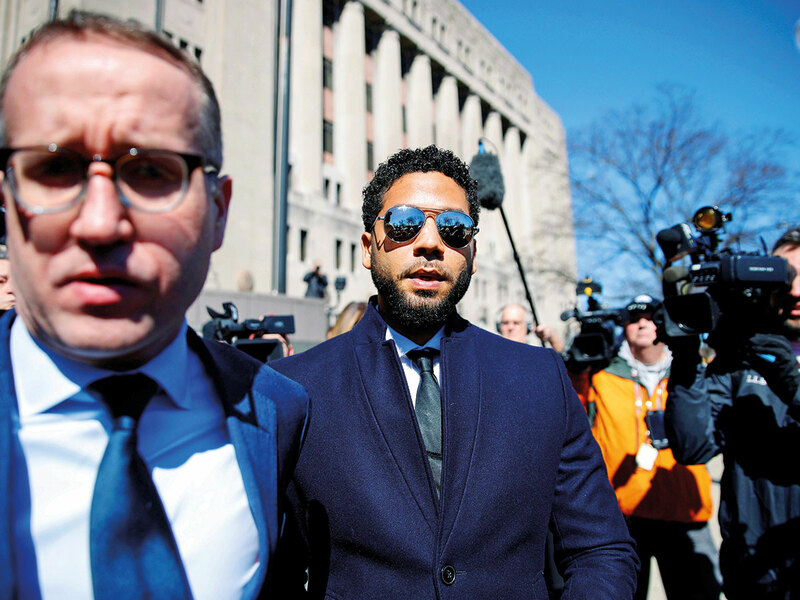 Now that charges have been dropped against Jussie Smollett, the ‘Empire’ actor’s attorney is trying to shift attention back on two brothers who told police they were paid by Smollett to help stage a racist, anti-gay attack on him. Investigators should look into the role of brothers Abimbola ‘Abel’ Osundairo and Olabinjo ‘Ola’ Osundairo, who are of Nigerian descent, said attorney Patricia Brown Holmes after prosecutors dropped all 16 charges against Smollett. Authorities still believe Smollett concocted the attack in which he said two masked men beat him on January 29. He also said they yelled, “This is MAGA country” — an apparent reference to President Donald Trump’s campaign slogan, ‘Make America Great Again.’ Smollett, who is black and gay, also said the men doused him with a chemical and put a noose around his neck. And Smollett told a detective that at least one of the attackers was white, according to Chicago police. Cook County First Assistant State’s Attorney Joseph Magats told reporters that prosecutors dropped the case because Smollett forfeited a $10,000 (Dh36,724) bond payment and did community service. Magats also said that prosecutors needed to focus their time on violent crimes in Chicago. Prosecutors have said Smollett and Abel Osundairo, 25, became friends in 2017 and that Abel Osundairo was a stand-in for a character on ‘Empire.’ Court documents said Olabinjo Osundairo, 27, also appeared as an extra in the show. The two brothers were initially drawn into the investigation after police released grainy images of two “persons of interest” in the area the night of the attack. Chicago police detained the brothers in mid-February at O’Hare International Airport after their return from Nigeria. They were questioned and their apartment in Chicago was searched. Within days, police said the brothers were considered suspects in the attack. But then, the two men were abruptly released and were not charged with a crime. They testified before a grand jury, and soon after Smollett was charged with filing a false report of the attack. The brothers’ attorney, Gloria Schmidt, said then that the brothers did not testify as part of any plea deal with prosecutors and that they were not granted any immunity from prosecution. “It started by them having a relationship with Mr Smollett. Mr Smollett being in a position of power over them — him being this celebrity person who could pull strings for them and help them in their career,” Schmidt said. “They were thinking, I’m going to help my friend. He’s asking for this,” she said. “The Osundairo brothers said more than once that the $3,500 cheque they received was for exactly what Jussie said. They were his trainers,” Holmes said.